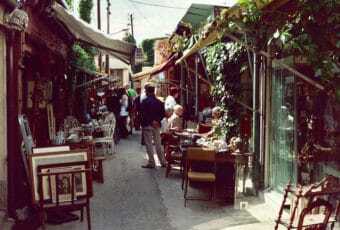 8 Best Flea Markets in Rome for Vintage and Antiques 3.7469135802469 out of 5 based on 162 ratings. 162 user reviews. Via Sannio flea market is a permanent flea market in Rome, open all week from Monday to Saturday. The market is close to Porta San Giovanni, near St. John Lateran Basilica, hence the name Porta San Giovanni flea market is sometimes used to describe Mercato di Via Sannio. The market as such is a decent choice if you are looking for a flea market during the week or a Saturday flea market in Rome, as Sunday flea markets in Rome are more common. 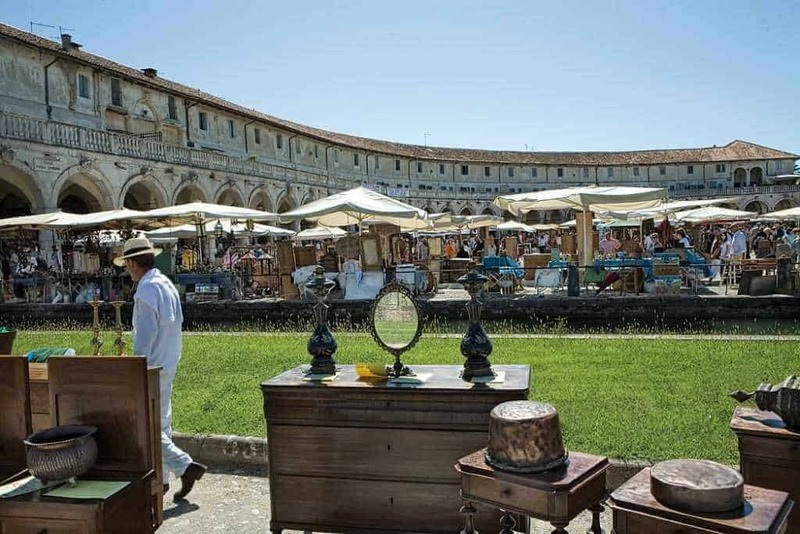 Although Porta San Giovanni flea market features a nice assortment of new and vintage clothes, do not expect a market full to the brim with vintage or antique treasures. If this is what you are looking for you might be better served at Ponte Milvio market or at Mercato Borghetto Flaminio. At Mercato Via Sannio you will find new and second-hand clothes, including jeans and leather jackets, shoes at bargain prices, knick-knack and food products. The market in Via Sannio is known to be a good spot to buy military-style outfits, as well as camping, fishing and hunting clothes. …or go back to our list of Rome’s best flea markets and antique markets! Hi Tess, thanks for the update; i’ll feature this market as “discontinued”. If you have extra tips about flea markets in Rome, please feel free to share them :) Thanks! I am wanting to go to Roma to buy bags and shoes where can I go for wholesale selling. When it comes to shopping, Rome offers many possibilities: Italy’s capital city has boutique shops streets where you will find luxury brand clothing made in Italy. There are also factory stock outlets in the surburb of the city where you can get cheap designer clothes due to 30-70% discount. 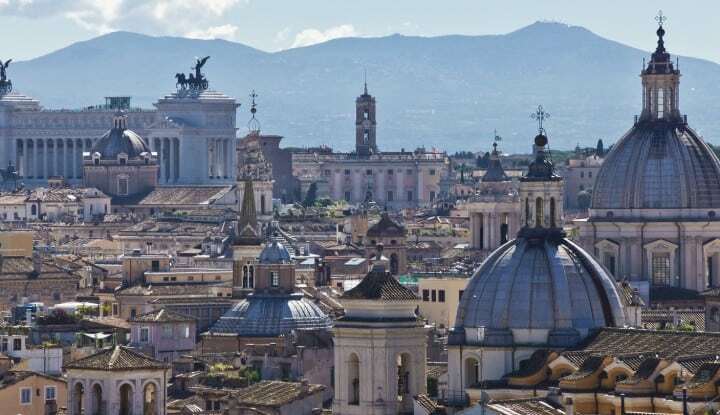 For instance, the most prestigious designer shops In Rome are located on Piazza di Spagna and surrounding streets. And a good place to buy designer labels at a discount in Rome is Castel Romano Designer Outlet (link:http://tinyurl.com/k2zd7e8) located in Pomezia which is 30 km south from Rome Italy. The Borgo Parioloi market is produce — nice produce — and the rest is just junk. Not a vintage piece of anything. Poor quality cheap clothing and household items. Not worth the trip AT ALL. Be great to have subway directions for each of these main markets…cannot find a searchable site to put in addresses to know what line/ stop. Aiutami per favore! Ciao Vittorio, you’re absolutely right! Subway directions are a must when it comes to finding the nearest subway/bus/tramway stop to a flea market. As a matter of facts, this is something we will slowly be adding to all our flea market reviews around the world (with more than 150 entries, this will take a bit of time though…). In the meantime, please feel free to use our other website http://www.fleamapket.com to help you spot the nearest subway station to the flea markets of your choice. 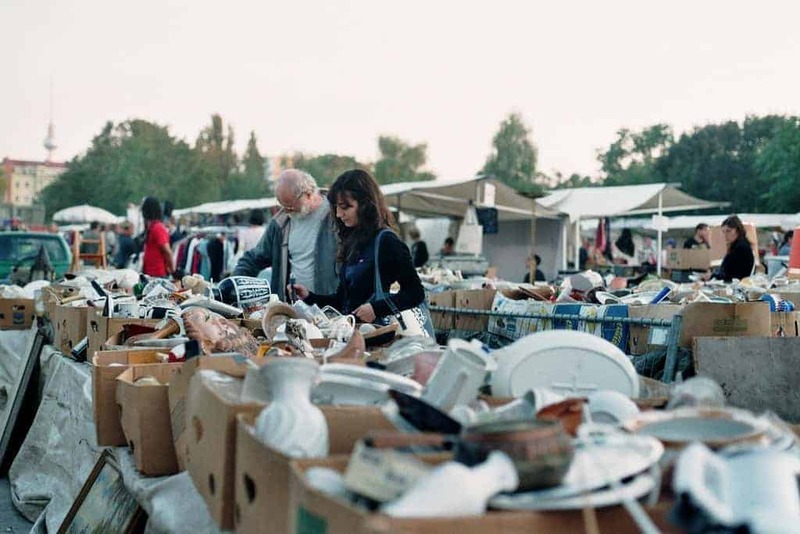 Enjoy your trip to Rome’s flea markets! I would like to buy the second hand(used clothing) original fur coats this October. where can I visit the flea market? ALERT: The flea Mkt in Borgo Parioli is NOT THERE. Not there at all. Wasted most of a day looking for it. Asked local shopkeepers, widened my search area. Not There! Hi Carole, sorry to hear about this :( When did you visit the Borgo Parioli Mercatino? As you know, this flea market only runs three times a month. I’ve checked once again on other resources online (in Italian) and all of them indicate that this market is located on Via Metauro, 24, 00198 Roma, Italy. I’ll ask friends in Rome if they know if the Borgo Parioli flea market has been discontinued or not. These market lists are either are not accurate or are not updated. Went to Porta Portese and Via Sannio markets in Rome. THEY ALL SELL THE SAME CHEAP CRAP THAT’S SOLD AT MARKETS ALL OVER EUROPE!!! It takes quite a bit of effort to plan your day around these markets and to walk, sometimes for miles and miles, to get there. UPDATE YOUR LISTS FLEAMARKETINSIDERS. Dear Laura, we’re sorry to hear about your bad shopping experience in Rome.The editorial team of fleamarketinsiders prides itself in providing accurate information when it comes to flea markets. However, we always recommend to double check that information with another source. Porta Portese and Via Sannio are actually the only two markets of this list (together with the Campo de’ Fiori) which are not Antiques Market. Both Porta Portese and Via Sannio sell second-hand items and knock-off products. Porta Portese nonetheless, has a few booth selling antiques (as far as we remember). 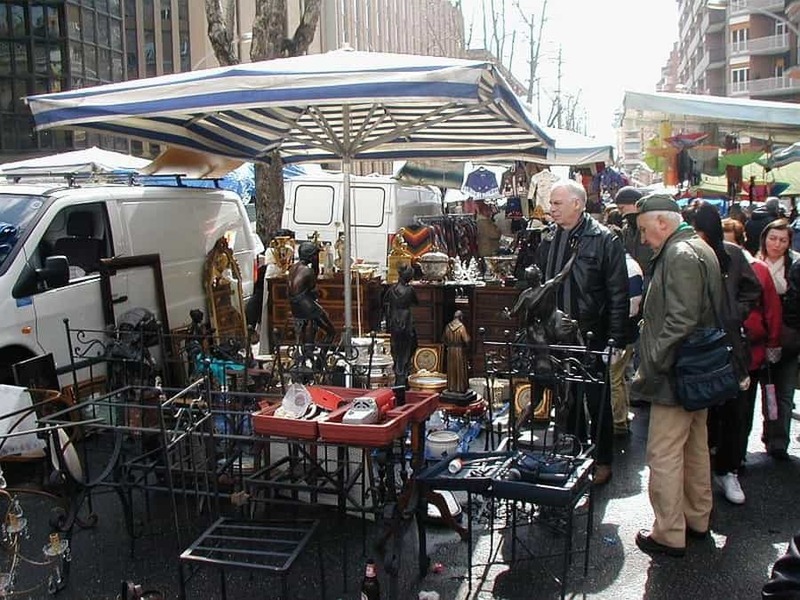 The best flea markets to go antiques shopping in Roma, are those labeled “(ANTIQUES MARKET)”. We hope this information will be useful to you for your next trip to Roma. Hi, do you have any information on the La Soffitta sotto i Portici market? 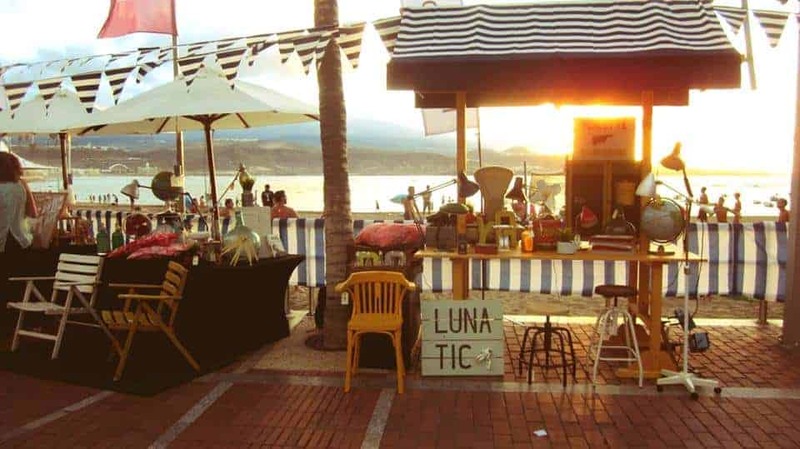 La Soffitta sotto i Portici is held every Sunday (except during August) from 9am-7pm, and has become in the past couple of years a point of reference for collectors who are looking for vintage items. Entrance is free of charge. Address: Piazza Augusto Imperatore, San Carlo al Corso (Rome). As always with flea markets, always check their date of operations. In the case of La Soffitta sotto i Portici, some say it operates on the 1st and 3rd Sunday of the month, other every Sunday. The flea market’s facebook page mentions that La Soffitta sotto i Portici runs every Sunday of the year (except in August). I am going to Italy this summer. What is the best flea market to go to in the Tuscany area. With affordable prices. 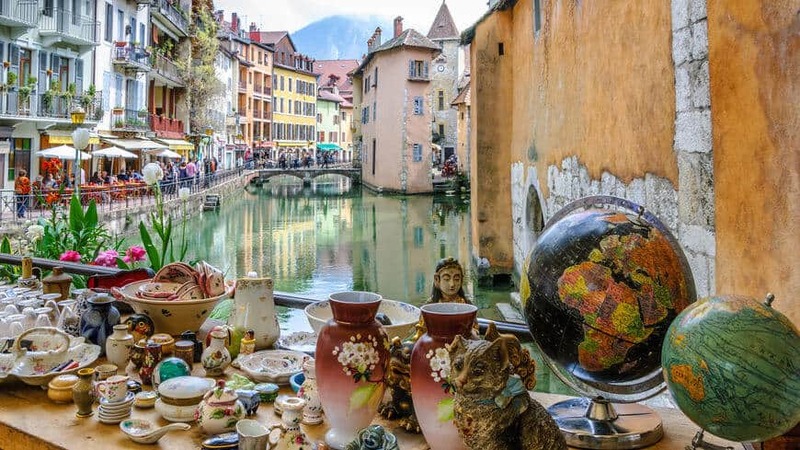 Hi Lisa, if there’s one flea market you should visit while in Tuscany, it is the Fiera Antiquaria di Arezzo: https://www.fleamapket.com/listing/arezzos-antiques-market/ . This antiques fair takes place on the 1st Sunday of the month, and the Saturday before. Hello there! Do you have any recommendations on where I could shop for antique/vintage bottles in Rome? If not the flea markets (because unfortunately I will be in Rome only Monday – Thursday but not on Sunday :( ), is there a specific neighborhood / area where there are vintage shops selling old glass bottles? Thanks! 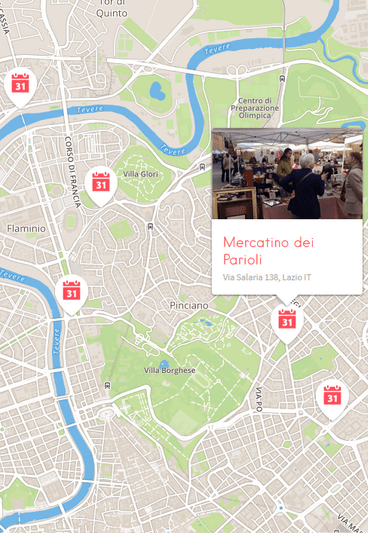 Is there a possibility for a traveller to come to rome and sell his art in one of these flea markets in Rome? If yes does anyone know how to book a table there? It would be great if there were a site where you could enter your dates that you would be in that city and it will indicate which fle markets are taking place at that time. IT is crazy that you have to pay to get this information. What are the hours of the flea market and are they on Sundays? Most flea markets do not open in August. I am planning to visit Italy on January. Which place is better for buying vintage or unused clothes in low prices? Rome or Milan? Could you please tell me some of the most hip flea markets? Any idea if Via Sannio Flea Market sells Canada Goose Jackets? Thank you! I need a lot of furniture for my new house. Where to go? Is there any flea market in Verona? 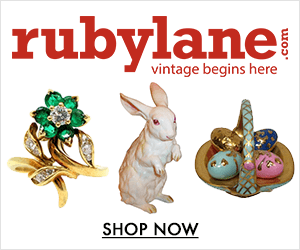 Join over 6.000 subscribers and get exclusive news + a monthly calendar of forthcoming international flea markets & antiques shows. Right in your inbox, no more than twice a month. Unsubscribe anytime.